Cosy baby and children's farm with riding opportunities - If you want to recover from the stress and turmoil of everyday life, then our farm is just the place for you. 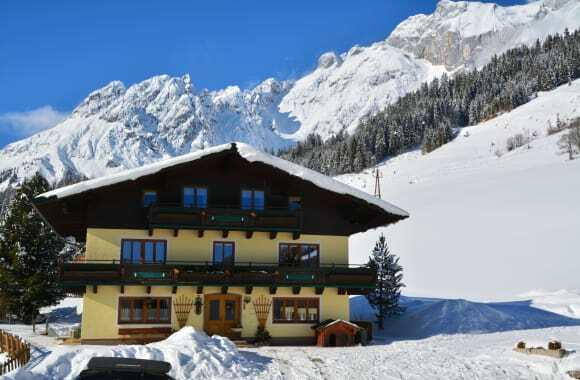 Our property lies directly at the foot of the Hochkönig with wonderful views of the mountain. You can reach lots of hiking destinations directly from the house. 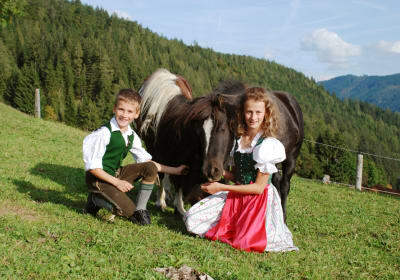 We offer pony riding for our younger guests, and our petting animals also look forward to meeting you. We also have a large children's playground, barbecue area, riding area, bicycle hire, playroom, reading corner, ... We are a certified organic farm and offer our own produce such as butter, yoghurt, schnapps and bread. 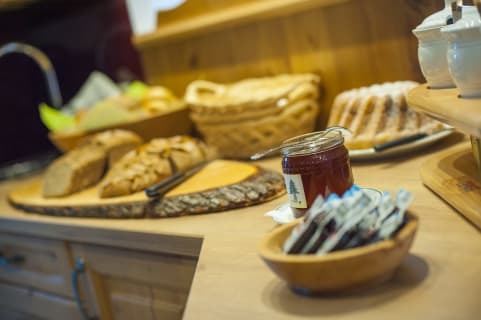 At breakfast we spoil our guests with an ample buffet with an organic corner, fruit juices, yoghurt, muesli, sausages, cheese, spelt baked goods, farmhouse bread, bread rolls, etc. There is also an extensive programme for children in the locality, including a ride on Schnauferl, the children's train. Also in the locality are a flight training school, swimming pool, hiking bus, tennis courts, people mover, free guided walks, underground mine and many other leisure activities. Prices: Double room: Euro 25 - 33, 3-bed room: Euro 25 - 33, holiday apartment: Euro 75 - 105 discounts for children upon request. Cot and baby equipment are provided for free at any time. We are happy to offer a breakfast buffet to guests in the holiday apartments for a surcharge. We are a certified organic farm and are very child-friendly, comfortable and reasonably priced. 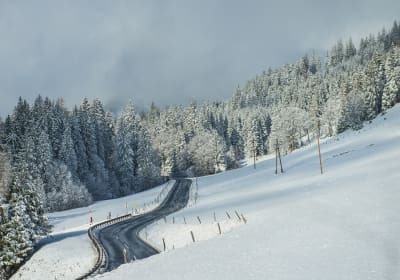 Mühlbach is known for its snow and as one of the most beautiful recreation areas around! Prices: Double rooms and triple rooms range from EUR 35 to EUR 40. The holiday apartment: from EUR 95 to EUR 120. There is a reduced price for children when staying in a double room with their parents. Cot and baby equipment are provided for free at any time. Buffet breakfast at an additional cost is a possibility on the holiday apartments. Rooms are appointed with shower, WC and radio. We will spoil you with an ample breakfast. We have fully equipped the apartment for you with satellite TV, radio, a spacious open-plan kitchen with fridge, microwave and coffee machine, all crockery - we are also happy to provide bed linen and towels on request. Our apartment is also appointed with 2 separate bedrooms. We have fully equipped the apartment with satellite TV, radio, a spacious open-plan kitchen with fridge, microwave and coffee machine, all crockery - we are also happy to provide bed linen and towels on request. The holiday apartment is also appointed with 3 separate bedroom. Our particular treat for those seeking cosiness and nostalgia: FARMHOUSE built in 1679. "Live life as it was in grandmother's times" in our over 300-year old renovated farmhouse. A place to lean against the warm tiled stove of the old farmhouse parlour, to enjoy warmth and cosiness and relax and unwind. Well suited for groups of up to 16 persons. The house consists of 6 bedrooms, the large kitchen, our rustic farmhouse parlour with tiled stove, the spacious hall, 2 dining rooms, bathroom and 2 WCs. 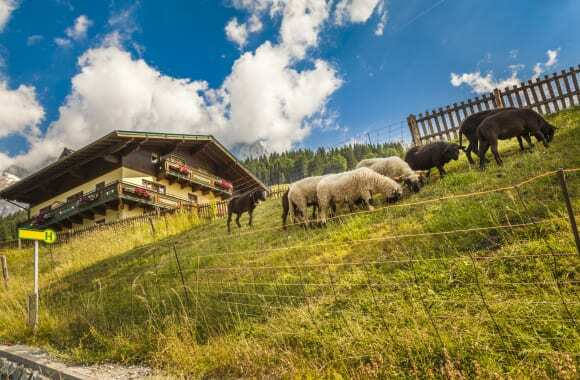 Hochkönig – your holidays at the pinnacle of pleasure.